One hundred percent of the kids will raise their hands, just as high as they can stretch them. If you go into a fourth grade class, this number might dwindle a bit, but there will be plenty of eager volunteers. 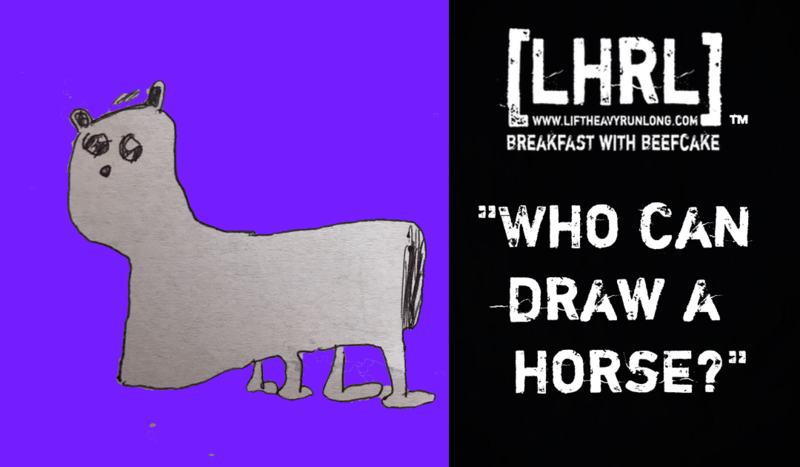 Now, walk into a professional office building, ask who can draw a horse. Chances are…you will hear crickets. Have you ever heard the story of the Golden Buddha? Historians believe that a few hundred years ago, there were some Siamese monks who had a bigass golden Buddha. It was apparently pretty awesome. It was so awesome, in fact, that the Burmese were going to attack the monks and gain possession of the Buddha. The monks, aware of the attack, took a bunch of mud and vegetation and covered up the Buddha from head to toe, camouflaging it from the enemy. Sadly, the Burmese supposedly came and slaughtered all of the monks, but never discovered the bigass Buddha. Years and years passed before someone accidentally stumbled upon a golden toe sticking out from underneath the mud and clay. The people unearthed the statue and discovered that the golden Buddha had been there all along. Did the value of the statue really change? Were the people more wealthy now that the same Buddha that had been there all along, now had the dirt removed from it? Is a golden statue less effective when hidden then when exposed? The point of all of this, is to say that we are born golden, alive, and full of wonder. Somewhere along the way, we allow society and personal beliefs to cover our confidence and excitement with dirt and mud. Our confidence dwindles, our zest for life evaporates, and our curiosity subsides. We allow the dirt, clay, and mud to build up, layer upon layer, until we are completely blocked out from chasing our bliss in life. The gold is in all of us. It takes some unearthing, some searching, and some work to find it, but the energy and excitement is there if we want it. Go find it. Find your gold. Find your bliss.